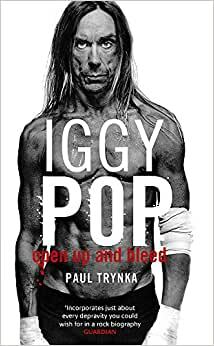 Start reading Iggy Pop: Open Up And Bleed: The Biography on your Kindle in under a minute. Lots of good info and photos on Iggy. The data seems too fragmentary and unsynthesized and the books style was reminiscent to me of a textbook or "WWII" history book -- a bit subdued for Mr. Pop and his cast of colorful charachters. I have found more informative and profound the IG section of "The Dark Stuff" and "Please Kill Me" but for a full book on our favorite Stooge this is the best thing out there so you might as well purchase it. The first half of the book dealing with Iggy's early days and the formation of the Stooges up until their eventual demise was very captivating. 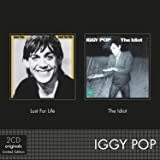 The second half ,dealing more with Iggy's association with David Bowie and his solo recordings, is not quite as interesting (to me at least) but overall its a great book for fans of Iggy and The Stooges. Includes some great photos. Interesting as far as his childhood and high school years...then gets bogged down, tedious, and doesn't clearly identify the years as far as what is happening when. Not written in a clear, chronological order once Jim is past The Stooges. Some good photos of a young Jim. OK Im Listening to a hard show in Barcelona 1981(years that Iggy gets trashed (physically/critically)in this book.WOW IGGY influencened me from a young age-I 1st scene him live at the Palladium in 1977 I was an impressionable 10 year old who the prior year my parents took my to my 1st rock concert (KISS)lol-My young mind remembers for all the"show"kiss" had -Iggy&THAT BAND did SO MUCH MORE W?/TALENT,& THAT Devil/Zues of a man-even though I seen him a # of x's met him a couple -esp. when we both lived near each other on the lower east side-ahhh the mudd,save the robots,pyramid,the World.Sorry-This book took a slightly cynic reader I though this was going to be so much that I thought I knew-BUT LIFE IS WONDERFUL when you are suprised and humbled by exceptional work.Mr.Trynka-spent over 10 years carefully reasearching &as hard as he could objectfully wrote Iggy/Jims carrer so Far! !1st I actually am so gratefull that Iggy and the Stooges are still here(most of) to entertain,enlighted,educate,and remind us that its ok not to follow to get ordinary &its ok to suufer for something better.Iam still rereading this book for the 24th time it is that Great,That entertaining,More messages I reveal from it -Well needless to say Even if you do not like Iggy or Rock or proto industrial,or are mental stable -It Behooves you to read this book.I humbly thank Mr.Trynka for writing &doing the dillingence it took to properly write this...PS.Since I also Love selvedge Denim-Paul Trynka has written a seemingly definitive book on Denim that I look foward to getting.